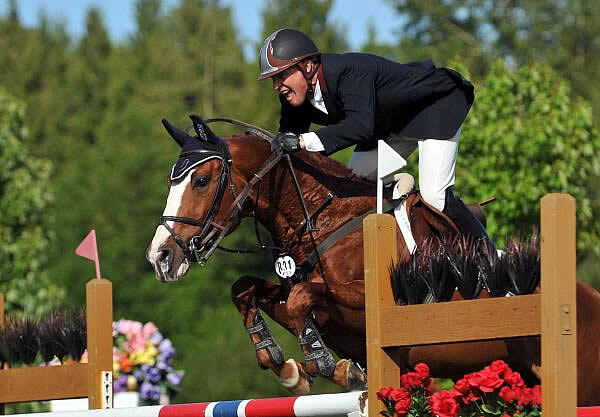 July 7, 2012 – Fort Langley, British Columbia – Laura Jane Tidball and Liz Ashton took home the bonus money in the SSG Riding Gloves ‘Go Clean for the Green’ promotion during the West Coast Classic at Thunderbird Show Park in Langley, BC. 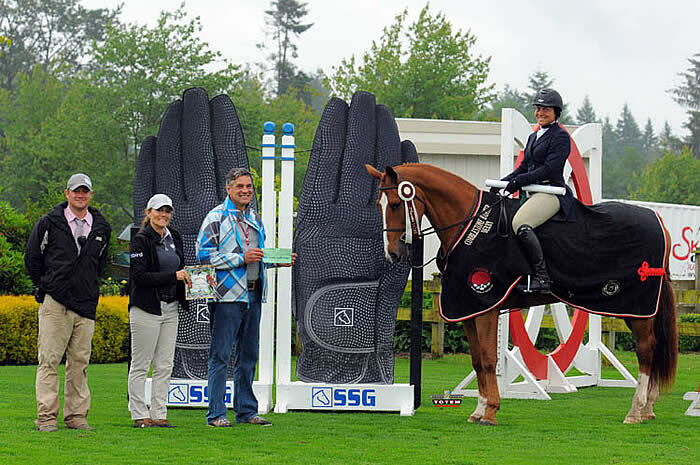 Fort Langley’s own Laura Jane Tidball was wearing her SSG ‘Digital’ Riding Gloves when she won the $5,000 Cobblestone Derby on Saturday, June 30, on Thunderbird’s grass grand prix field. All but two of the competitors were wearing SSG ‘Digitals’, but it was Tidball who took home a $500 bonus from the Canadian glove manufacturer for sporting its brand. An amazing inside turn in the handy round secured the victory for Tidball and Yesquero, a 12-year-old Argentinean Warmblood usually shown by Brent Balisky. Wellington, Florida – JustWorld International’s newest initiative, the ‘Adopt a Project’ campaign, is continuing to gain momentum with Irish Olympian Kevin Babington and Canada’s Thunderbird Show Park each adopting projects. JustWorld International is a not-for-profit humanitarian organization, which works as a catalyst for positive change in the developing world by helping impoverished children. Officially launched on June 4, the ‘Adopt a Project’ campaign is aimed at making it even easier for supporters to get involved and choose exactly which programs they would like their donations to fund. The ‘Adopt a Project’ campaign identifies opportunities to support specific education, nutrition, health and hygiene, and leadership and cultural development programs. Donors can ‘adopt’ specific programs at JustWorld’s project sites in Brazil, Cambodia, Guatemala, and Honduras. The new campaign is a great opportunity for individuals, groups and businesses to get involved and help to provide critical operational support to JustWorld International. 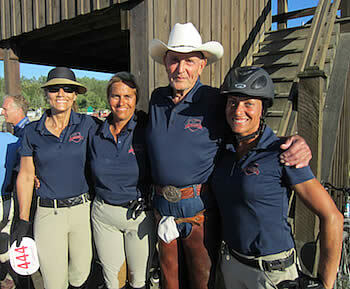 September 27, 2011 – Langley, British Columbia – Thunderbird Show Park in Langley, BC, raised $11,607 in support of JustWorld International during its recent Summer Classic and Summer Festival tournaments. JustWorld International is a not-for-profit, humanitarian organization working as a catalyst for positive change in the developing world by helping impoverished children. Thunderbird Show Park identified JustWorld’s Cambodia Rice for Families Project at Stung Mein Chey in Cambodia as the project it wanted to raise funds for. Setting a target of $9,000, Thunderbird far exceeded its fundraising goal by bringing in $11,607 from its various fundraising activities. The money will go directly to the project, giving families in the Stung Mein Chey garbage dump a 5 kg bag of rice each month, helping to reduce the need for children to gather food scraps or to earn money by picking through trash. Thunderbird held several fundraising and awareness events over the course of the Summer Classic tournament from August 17-21 and the Summer Festival tournament from August 24-28. JustWorld’s signature Horseless Horse Show, which sees people compete on foot over miniature jumps, was held on Friday, August 19, much to the delight of the crowd. A silent auction, which raised more than $4,000 in support of JustWorld, was also held the same day during the $50,000 Dianne Tidball Legacy Grand Prix. During the second week of competition, the fun-filled Groom’s Class took the spotlight in the grand prix ring on Thursday, August 25. Thunderbird Show Park matched the groom’s cash donations to help raise more than $600 for JustWorld’s project sites.